VINTAGE TOOLS AND ANTIQUE TOOLS FOR SALE - HOME OF USER AND COLLECTIBLE TOOLS FOR WOODWORKING, LEATHERWORKING, MACHINIST, BLACKSMITH, TINSMITH, SILVERSMITH AND ITEMS YOU LIKELY HAVE NEVER SEEN BEFORE. SEARCH ENGINE IS AVAILABLE ON THE TOOLS FOR SALE PAGE. THERE ARE NOW OVER 2000 ITEMS FOR SALE ON THE SITE, PLUS OVER1600 ARCHIVED SOLD ITEMS AVAILABLE FOR VIEWING. 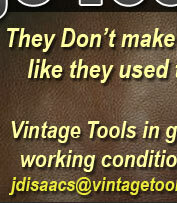 Welcome to the home page for vintage tools and antique tools and instruments. This site includes antique and vintage tools and related items for users and collectors of woodworking, surveying and machinist tools. The content of this site is growing daily. 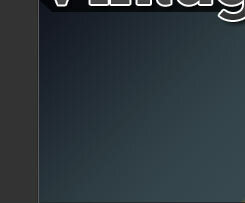 The content will be added to frequently so visit often. If you are looking for any items that are not listed please contact us using the information on the contact page. We will let you know if we have items available that you are looking for or we will do the best we can to find it for you if you wish. We have elected to include a number of photos for each item, where necessary, to provide more information on each item therefore reducing the text description required. Added photos will be provided upon request. When in doubt ask us for specifics, we do not wish to have an unhappy customer due to any misunderstandings. To assure your satisfaction there is a very liberal return policy for all items. If you are not completely satisfied after receiving any item from this site you may return it within 7 days in the same condition as received for a full refund, including shipping costs for domestic order. For orders returned from other countries all the conditions for refunds apply except the shipping costs may not be refundable.